2. Soak flannel in warm castor oil. 3. Place flannel over area to be treated (ask your health care provider to show you the area they desire treated). 4. Place plastic over flannel (to prevent staining of linens and clothing). 5. Leave flannel soaked in castor oil in place for between 30 minutes to 2 hours. 6. White treatment is being applied, rest comfortably. 1. Soak flannel in castor oil. 2. Wrap flannel around a hot water bottle. 3. Place flannel (and water bottle) over area to be treated (ask your health care provider to show you the area they desire treated). 5. Leave flannel soaked in castor oil in place for between 30 minutes and 2 hours. 6. While treatment is being applied, rest comfortably. NOTE: Any oil that discolors linens or garments can be removed by washing with baking soda. Saturate flannel and place over abdomen or other areas. Cover with plastic and apply heat to support absorption.Other Uses: Massage into any area where softening and soothing are desired. Ingredients: Pure, Cole Pressed Ricinus Communis (castor) Oil. Castor oil seems to be safe for most people when used short-term. 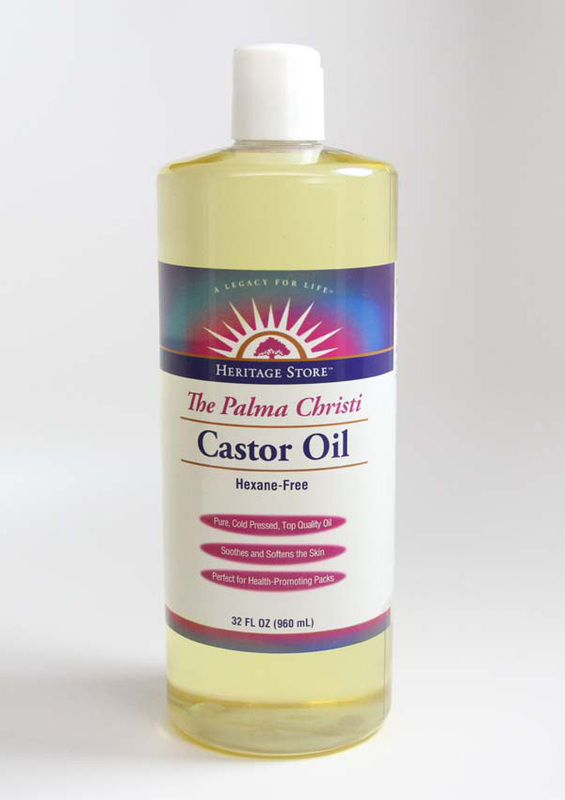 In some people, castor oil can cause stomach discomfort, cramping, nausea, and faintness. Intestinal problems: Don't use castor oil if you have a blocked intestine, unexplained stomach pain, or problems with your bile ducts or gall bladder. Water pills (Diuretic drugs) interacts with CASTOR. Castor oil is a laxative. Some laxatives can decrease potassium in the body. Water pills can also decrease potassium in the body. Taking castor oil along with water pills might decrease potassium in the body too much.